His music has recently been heard in concerts and installations at the 2016 Frequency Festival at Constellation (Chicago), River Concert Series of the Chesapeake Orchestra (Washington D.C.), Darmstadt Ferienkurse für Neue Musik (Germany), New York City Electroacoustic Music Festival, the Wulf (Los Angeles), the Stone (New York), Machine Project (Los Angeles), SEM Ensemble’s “Emerging Composers” series, Kent State University’s “Vanguard New Music” series, June in Buffalo Festival, Atlantic Center for the Arts, Yale University Haskins Laboratories, and the Museum of Contemporary Art Cleveland, among others. He is a 2016 composer-in-residence with Ensemble Mise-En and the I-Park Foundation. A dedicated purveyor of modern music, Tyler J. Borden has performed with contemporary luminaries such as the JACK Quartet, Tony Conrad, Steve McCaffery, and Ensemble Offspring (Australia). He has performed at Alvin Lucier’s 85th Birthday Festival (Switzerland), Musikprotokall (Austria), June in Buffalo, Darmstadt Ferienkurse für Neue Musik, VIPA Festival (Valencia, Spain), Queens New Music Festival (NYC), and the MATA Inteval Series (NYC). 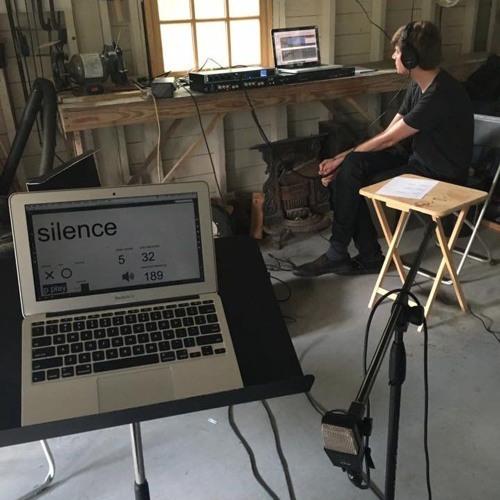 Tyler has worked with established composers like Brian Ferneyhough, La Monte Young, and Alvin Lucier, but he is particularly interested in the music of his generation has worked extensively with young composers such as Jason Thorpe Buchanan, Paul Hembree, Ben Isaacs, Hunjoo Jung, Catherine Lamb, and Rob Phillips. Currently, Tyler is a core member of the [Switch~ Ensemble], a group who focuses on the performance of electroacoustic works and has worked closely with many composers, including Philippe Leroux, James Bean, and Timothy McCormack. As a creative force, Tyler regularly collaborates in various capacities, most of which are heavily improvisational. He has performed in that capacity throughout North America and Europe and his improvisations were included in Guggenheim Fellow Kasumi’s film Shockwaves. T.J. grew up in Rochester, NY and studied at Ithaca College and SUNY Buffalo, where his primary cello teachers were Elizabeth Simkin and Jonathan Golove, respectively. He is currently pursuing his DMA at UC San Diego with Charles Curtis.